The Duel was a lot of fun to make. It is always nice to take a break from huge filming events, and we did just that in this video. You can see in the credits we had not 10, not 8, but 5 people total on cast and crew. What an ease that was. It took us two days to film rather than the one that we had planned for. The funny thing is, almost all of the shots used were filmed on day 2. Meaning we didn’t need most of the entire first day of shooting. Even though this was made specifically for a example submission video for the Nerf Socom contest, we really took advantage of the opportunity. 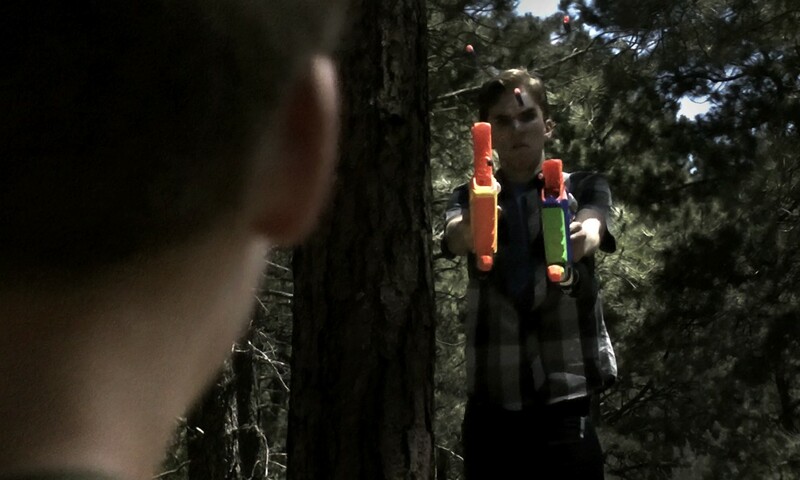 Adam and Julian find themselves in a tense battle when neither of them have good enough aim to shoot at each other. This is a short example of a submission for the Lexar Care Package video contest hosted by Nerf Socom. Posted On July 4, 2014 in Nerf Socom with One Comment. Adam Oliver is the producer of Nerf Socom, a popular youtube channel and multiple series, and Forth, a new budding channel that should catch up soon enough!